The Wizard of Oz is a beloved classic for all ages in America. The movie is a magical musical whose name in ubiquitous in our society. As the story was based on a stand-alone novel however, it left a few unanswered questions in the audience’s mind. 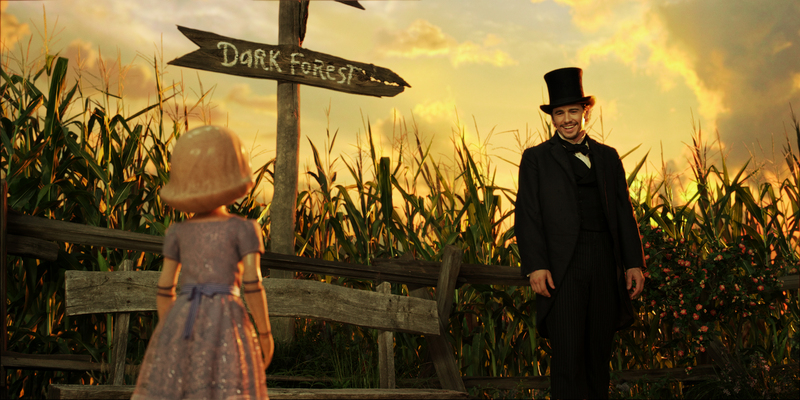 Disney took the liberty of answering one of the most important questions in their prequel Oz the Great and Powerful. This movie focuses on the life of Oscar Diggs (Oz) the self-proclaimed “con-man,” and how he ends up being the “Wizard of Oz.” Disney wonderfully delivers this engaging story, not only explaining how the Wizard gets to Oz, but also revealing a greater picture of who the “man behind the curtain” really is, and what drives him to become this figurehead wizard. In doing so, they make the wizard more human and address an important and timeless issue in philosophy. Why do philosophers seek vigilantly to discover the nature of the Good Life? Because the answer to such a question is a matter of first importance that shapes a large portion of a man’s life. When the philosophers speak of the good life, they are not simply referring to something superficial like a four bedroom house, white picket fence, six-figure salary, and 2.5 kids. What they seek is the life that will bring true fulfillment and satisfaction. This is the life that is not simply comfortable and enjoyable, but the life that has reached the pinnacle satisfaction. The Good Life involves more than a man’s possessions and accomplishments, it encompasses the entirety of who he is and the manner in which he lives life. The Good Life gives shape and meaning to this man’s very existence. So, how have philosopher’s tried to answer such an important, all-encompassing question? Starting from ancient Greece with philosophers such as Plato and up into the modern movements like Existentialism with advocates such as Nietzsche, the “Good Life” has taken on many different forms. For example, a big part of Plato’s Good Life involved harmony of the soul through moral living according to the “Forms” and living in harmony with the state. 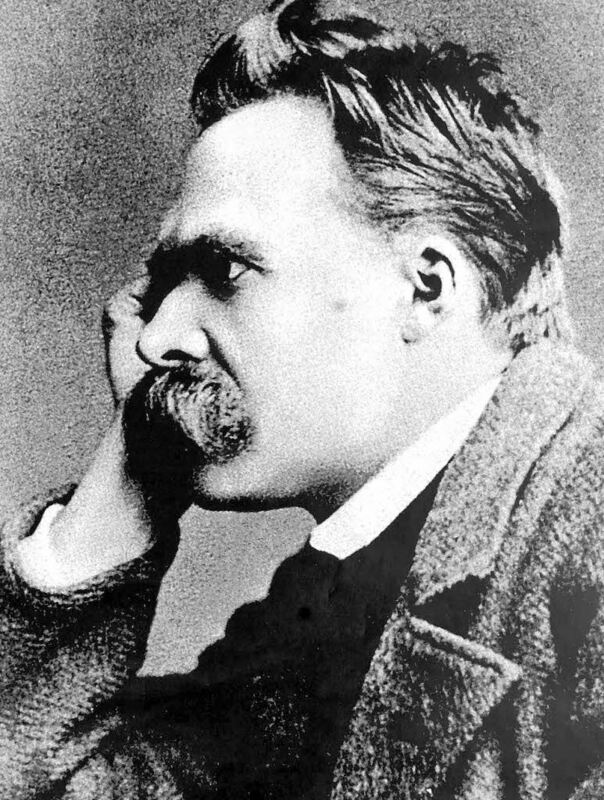 Nietzsche’s Good Life, on the other hand, would involve throwing off any external moral or societal norms and being one’s own man, resulting in an amoralistic and power focused system ethical system. While the amount of different definitions for the Good Life is quite numerous, there has always been one aspect in common to how the philosophers defined the Good Life. Each philosopher understood that the Good Life could only be obtained when man live up to his fullest potential as a man. Plato believed that the moral life resulted in the Good Life for a man because his soul would be in proper harmony with itself. Nietzsche, on the other hand, believing that life has no meaning or purpose, claimed that the best possible life is when man “created himself,” because without objective meaning or purpose, man is left to create his own value and meaning. Despite their vast differences, both philosophers saw that only by living up to his full potentials could man ever achieve the Good Life. Throughout history this pattern has held true as each philosopher formulated his theory of what man’s full potential is and saying that man can only have the Good Life when he fulfills said potential. To the philosophers, there is no distinction between the Good Life and the great life because achieving the Good Life means that has reached the apex of living as a man. How does Oz the Great and Powerful compared to this approach then? How is the Good Life presented in this movie and how does it relate to greatness? To give their answer to these questions, the writers and directors have Oscar Diggs serve as their hero. Oscar’s character and personality serve as a great method for investigating these issues as it taps into a literary device that has been used in most stories all the way back to the epics of Homer. A method that was designed to show the pitfalls of vices and the redemption of virtues. This device is called the tragic flaw. The tragic flaw is the certain belief, behavior, or attitude that the protagonist of the story has that results in his failures and difficulties. Oz’s is pretty blatant: he is obsessed with his own greatness and sees morality as a hindrance to that greatness. Because of his obsession of becoming “great,” he manipulates people, and he abuses the few people who are willing to befriend him. He is a man who desires greatness, but forsakes goodness. 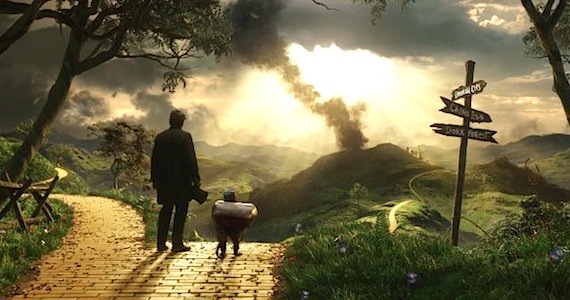 Oz’s complete lack of moral structure, however, leads to destruction rather than greatness. This flaw is the reason he could never be happy in his performing days, why people hate him, why he almost destroys a kingdom, and why, ultimately, other characters are corrupted. His tragic flaw not only keeps him from achieving greatness, it corrupts and destroys whoever and whatever is around him. His obsession with greatness is nothing more than a threat to the merry old Land of Oz. Fortunately, Oz finally realizes his tragic flaw that was threatening their lives. At this point Oz achieves some level of redemption. Oz could have abandoned the kingdom to its fate and escaped with his gold, becoming fabulously wealthy in his world, but he chooses to stay and fight for the kingdom. He chooses to save the lives of others over getting the life of the rich and famous. Oz sacrifices what could have been the luxurious life, for what truly is the Good Life. As a further sacrifice, he destroys his reputation as Oscar Diggs. Pretending to actually run away and letting the balloon be destroyed, Oz abandons the possibility of being famous as the “late” Oscar Diggs. He doesn’t even attempt to leave behind a glorious legacy. Instead, he leaves behind the legacy of a man who would abandon those in need. This means that Oscar Diggs doesn’t just die, he dies a coward. As a result, Oz ultimately abandons his chance of going down in the history books as a legendarily great man. When all is said and done, Oscar Diggs would never achieve greatness. The flip-side is that “The Wizard of Oz” does achieve greatness. As Oz says in the end, “Oscar Diggs died, so that the Wizard could live.” In his staged death, Oscar was “reborn” as the “Great and Powerful Wizard of Oz.” He who is not a king, nor truly a ruler at all, but simply the protector of Oz. He is able to achieve great things by simply living behind the curtain and “granting wishes.” Ultimately, Oz was able to achieve his greatness when he stopped living for himself, and began to live for others. 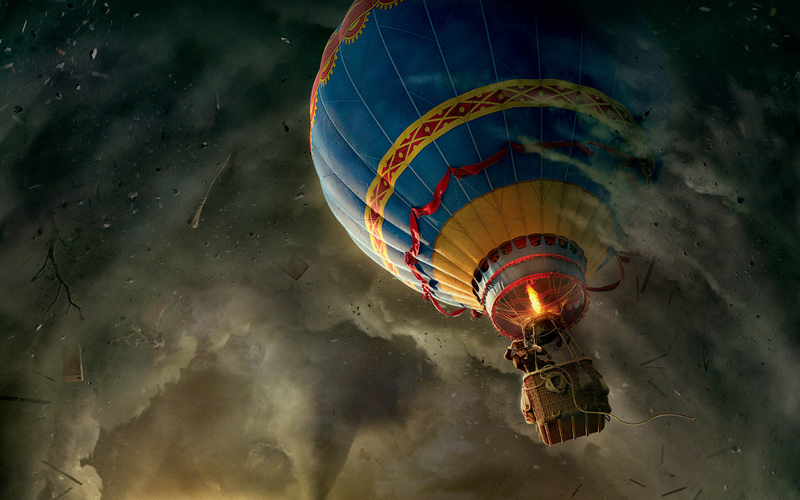 What does this convey about the message of greatness and the Good Life in Oz the Great and Powerful? First and foremost, the message is this: one cannot be great if he cannot be good. There was no way for Oz to ever achieve the “great man” status he desired as long as he refused to be a good man. To the directors, the Good Life was greatness, there was no separating the two. Oz’s worldview ignorantly created a false dichotomy between the concepts of goodness and greatness. The “Good Life,” the pinnacle of life and fulfillment, can only be reached when a man lives morally. In particular, to Disney this means a man who cares more about others than himself. The directors leave no room for a man achieving greatness apart from this kind of goodness. They show that the only way to be great is to achieve the fullness of the Good Life. 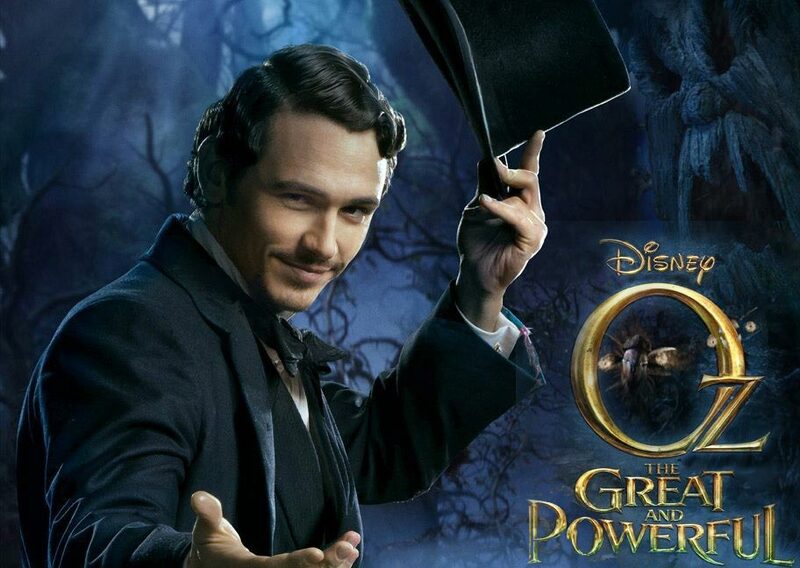 In conclusion, the Good Life is good enough in Oz the Great and Powerful. What does this have to say to a modern audience about greatness? It would seem that the culture today has fallen halfway into the same trap that Oz did. They have created the false dichotomy between being good and being great. While most may not take it as far as Oz, and certainly not as far as Nietzsche, they have created their own version of this. In the modern worldview, greatness has become all about possession and accomplishment, it has nothing to do with living up to the fullness of man. This can be seen in the business man who is so driven to reach the top that he never spends time with his family, or the actress who abandons all previous inhibitions and poses practically naked on a magazine cover simply to bolster her career. There is something simply twisted about this image of greatness. Men and women can create a mountain of accomplishments that reach the sky, but they themselves fall deeper and deeper into the abyss of inhumanity. There is not and cannot be true greatness in such a corruption of man’s being. This isn’t to say that men such as Hitler, Gordon Greco, or even Voldemort didn’t achieve some level of fame and power from their immoral activities. In such, they may have achieved some kind of “greatness” but because they became less human themselves (Voldemort in a very literal sense), this greatness became simply a shadow of true greatness. The greatness they achieved is cheap, like a plastic trophy that’s been spray painted gold. Maybe society needs to start over again with how they view greatness. Maybe there is something to be seen in the fact that Oz became something greater when he finally started acting like a decent human being. He was able to shed the scales from his eyes that made it possible for him to view imitation greatness as true greatness. This is where the culture’s view of greatness needs a complete overhaul. Instead of endorsing a view of greatness that is focused on what a man can accomplishment or obtain, greatness needs to be seen as a man living up to his full potential as a man. Greatness needs to be seen as the ability of a man to live out the true image of a man. The ability to live out the image of man necessitates a standard for this image that exists as an actual reality. Further, this standard must come from a source outside of mankind or man is free to claim whatever he wants as greatness. If such subjectivity is all that exists, man is right back to where Oz was at the beginning of the movie, giving himself the title “great and powerful,” with no just cause. He becomes no better than the man who buys himself trophies for contests he has never won. If there is no outside authority to give the standard for greatness, man is doomed to live out a mediocre existence at best because accomplishments can’t be judged, but become isolated, meaningless events. He is on an impossible quest for greatness that can only be temporarily detoured by giving himself “trophies of greatness” that have no value. Christianity offers the answer to this predicament of meritocracy, by giving man a standard from an outside source. In Christianity, God has created man with a particular design, a design to be his image bearer. Therefore, man has an actual, objective goal for greatness by properly living out this image of God and it is the gift of God to allow man to reach this goal. Further, this loving God aims to redeem man should he fall short of this goal, by any means necessary—even at the price of his own death. This is the glorious message of the Gospel, that God graciously gave man the chance to be great and then died for his redemption when he failed to be so. As an additional point to their message of the necessity of goodness, the directors introduce a message of beauty. Beauty in a metaphysical/ontological sense, such as this, is defined as “the fittingness of a thing to its nature,” meaning that something is beautiful when it properly expresses the essence of what it is. For example, a work of art is beautiful when it expresses the nature of artwork such as creativity or technique. In this movie, the directors show that, by their very natures, beauty and goodness are not just related, but intertwined. 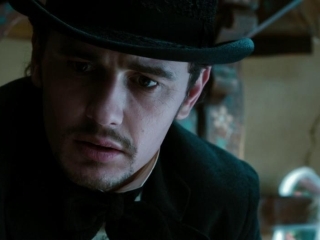 In Oz the Great and Powerful, the clearest message on the connection between beauty and goodness is seen in the effect of evil (the absence of goodness) on the Wicked Witch Sisters, Evanora and Theodora. The main instance is when Theodora bites into the cursed apple. As soon as evil takes over, the once beautiful Theodora is transformed into the shocking, stereotypical image of a green, long-nosed, warted witch. This shows the direct, degenerative, and corrupting connection that evil has on beauty. The audience can infer from that degeneration, and the beauty of the previously good version of Theodora, that goodness is an integral part of beauty. The very nature of having “beauty” requires that a person lives in accordance with the structure of goodness in reality. If a person doesn’t live in such a manner, he or she is doomed to suffer a decay in beauty. This is the logical extension of that person living in contest with their own nature. For a quick summary of the tragic flaw-to-redemption paradigm in stories, reference Brian Godawa’s Hollywood Worldviews. As a quick-note, beauty in this article is not to be equated with physical attractiveness. The point here is not to claim that when someone is immoral, they lose physical attractiveness because there are plenty of examples of very attractive people who are highly immoral (Hollywood uses them to make movies such as this one all the time). Beauty is still being used in the sense above, as the proper expression of a person or thing’s nature. 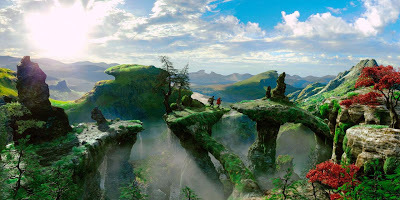 Tomorrowland: Will Optimism Save the World? Silver Linings Playbook: Is Positive Thinking Enough?